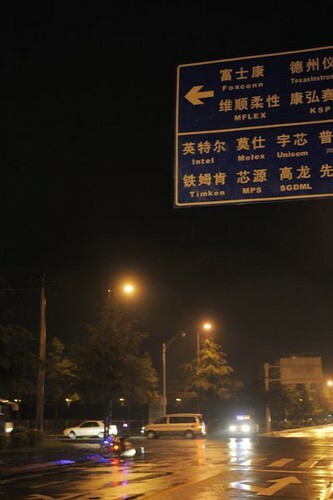 At around 19:00 in China, Foxconn Chengdu manufacture plant got an explosion, we are not sure actually what cause the explosion and how many casualties had resulted. At the scene, there are currently more than 10 fire engines, ambulances and 10 police cars had arrived on the scene. 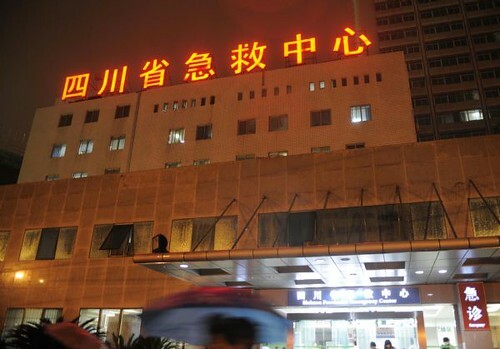 And, the explosion is happened in an operating room inside Foxconn. Video of the scene after the break. Latest UPDATE: According to our sources, the cause of the explosion is due to a special dust, which is used to clean the screens of the iPads. It is flammable. And someone was smoking. Oh, the explosion occurred in a “polishing plant”. A CCTV reporter who is at the scene now said, a witness told the reporter that the explosion happened at 19:10. And, doctor said he had already received 6-7 people injured, and more injuries are coming. The reporter was told to stay away from the building, because there might be a second explosion. In addition, Sina Tech had made a call to Foxconn’s spokesperson, however his phone is on, but no one is answering. Please stay tuned on us for the latest news. 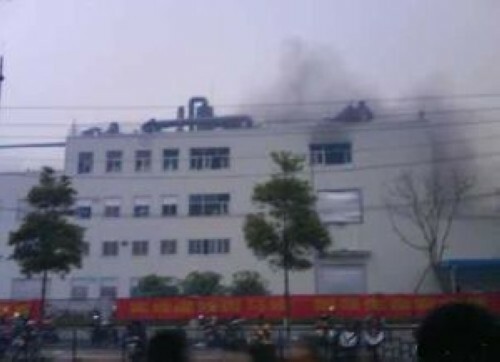 The explosion is happened in A5 building (A05), and we heard that building is also the production line of iPad 2! 2nd, 3rd and 4th floor are affected as well. The explosion is likely to cause by super-light dust. The scene is very chaos. All we can hear is the noise of people shouting, fire engines, ambulances and police cars. The video just uploaded for one hour. 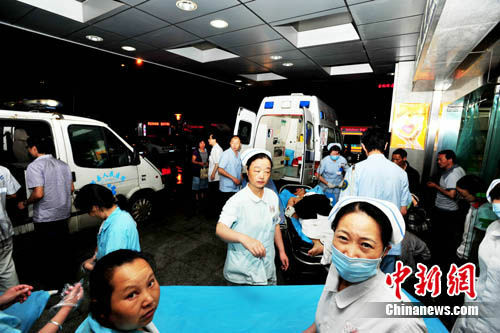 The outside scene of the hospital where explosion injurers are treated.At 21:00, there are 6 men and 1 woman were sent to the Sichuan Provincial People’s Hospital. Those seven people are young adults, including two of them are seriously injured, two of them are slightly injured and the other three were minor. Allegedly, the explosion was occurred while the workers’ transition. 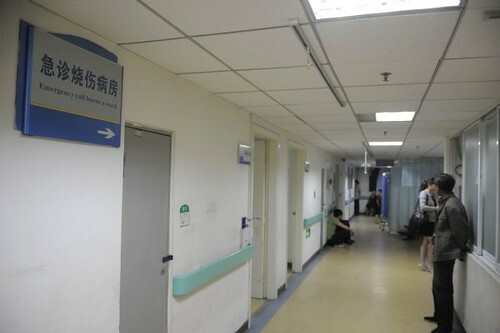 The outside scene of the ward where explosion injurers are treated at a hospital in Chengdu. Police cars were seen. A rescue vehicle runs toward the site where the blast occurred. 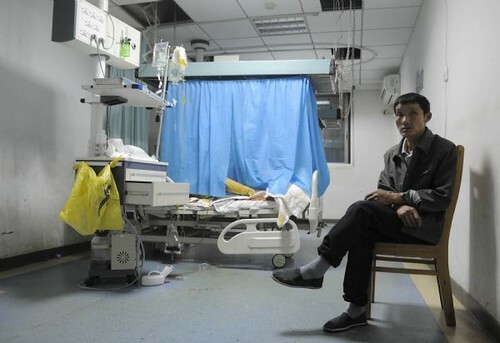 The father of an explosion injurer is seen beside the injurer in a ward of a hospital.At the moment, there are more people injured and even killed. Two people were killed and 16 injured, 3 seriously injured. 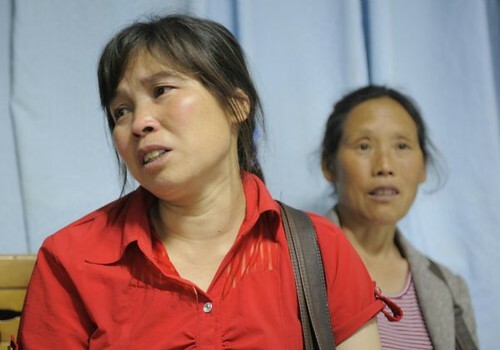 After the Chinese police initial investigation of the explosion, they suggested the cause ruled out human factors. 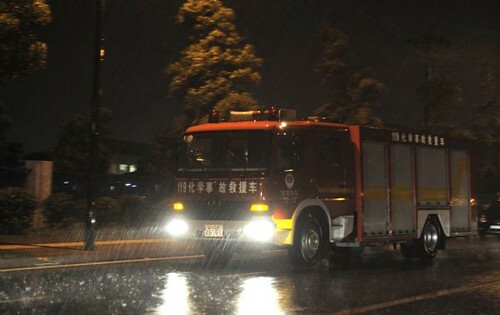 According to CCTV report, the fire at Foxconn’s Chengdu plant had been settled and the place is raining now. They still haven’t heard about the cause of the explosion and not sure whether the smokes are toxic or not. Apparently, the demand and scalping price of iPad 2 in China will definitely increase dramatically and this tragedy will have a great impact on the iPad 2 production line. So, would the manufacture for Apple products get delayed? 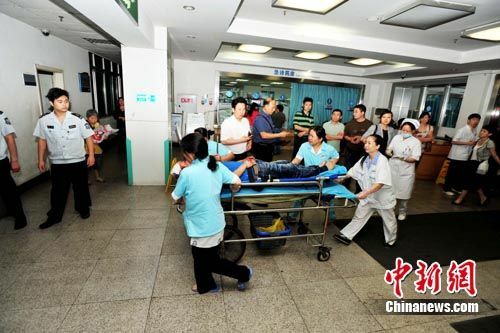 Relatives wait outside the ward where the explosion injurers are treated at the hospital.Last but not least, the minor wounded are fine to go home, but those who are seriously injured have been transferred to provincial hospitals. There are some footages of the scene in the video below. Oh, one more thing. Looks like Foxconn CEO Terry Gou is now heading to the Chengdu plant to fix the mess, according to Taiwanese news report. With his private jet?